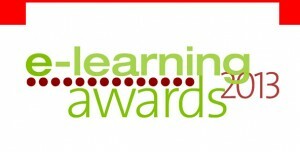 The eLearning Awards have been running for over 10 years now and look to reward and highlight the growing world of corporate and academic eLearning. As part of the 2013 award season I helped to mentor the submission by the Department of Criminology, which was shortlisted for the award in the “Best Use of Mobile Learning” category. In November 2013 the Department of Criminology was shortlisted, from a respected list of international entries, for the e-learning Awards “Best Use of Mobile Learning” category. The Department overcame the challenge of reaching professionals wanting to further their knowledge of conflict prevention and recovery issues while living and working in remote and hazardous areas, including places affected by armed conflict, with their new distance learning MSc in Security, Conflict and International Development (SCID). Read more about the Department of Criminology’s success on the University’s Staff Update news portal. Learning Technology Assistant, College of Social Science, University of Leicester.